“Ocean view” can mean many things when you book accommodations for a trip. It could mean you if you stand on the very end of your balcony and lean the top half of your body just so over the railing… there it is…an ocean view! So, I tried not to have too many expectations about the view, if it wasn’t a full on ocean view, at least the ocean was only a two minute walk away! But, I’m a landlocked prairie girl so I wanted to see and be near the ocean as much as possible – morning, noon and night! 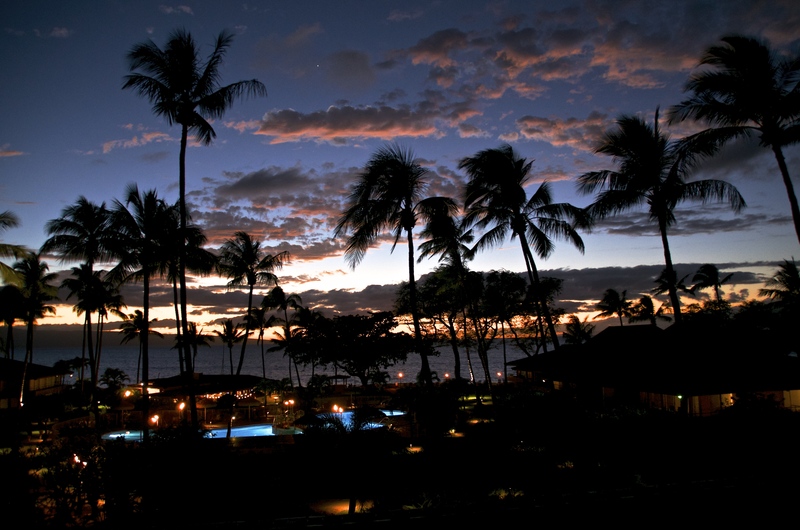 This entry was posted in Maui, Photography, Sunsets, Travel, Writing and tagged amazing Maui sunsets, Aston Maui Kaanapali Villas, Hawaii, Kaanapali Beach, ocean view, ocean view accommodations, sunsets, travel musings. Bookmark the permalink. Wow amazing. Where is this? Maui – Kaanapali Beach, the hotel/resort is Aston Maui Kaanapali Villas – I would definitely stay there again. Wow, what a great view! Good stuff.